The Oklahoma Emergency Nurses Association regional council is actively involved with state agencies, national and international organizations. The OKENA also provides active committee structures dedicated to education, nurse practice, trauma, pediatrics, membership, injury prevention and communication. The Oklahoma ENA is dedicated to providing current emergency nursing information and education through our state council and chapter meetings, our TNCC and our CEN review courses lead by Jeff Solheim. Oklahoma ENA is a non-profit state council of the Emergency Nurse Association (ENA). As a nationally chartered organization, OK-ENA represents the interest of emergency nurses and their patients in the State of Oklahoma. The state council represents emergency nurses interested in promoting improved emergency care throughout Oklahoma. The dedication efforts of its members in the area of public safety, continuing education, nursing research, and promotion of the profession, serve to maintain quality of patient care and have a positive influence in the state of Oklahoma. The ENA Board of Directors’ authority and responsibility is to manage the affairs and provide direction for the association, determine policy, oversee the business and financial matters, and adopt rules and regulations for the conduct of its business. 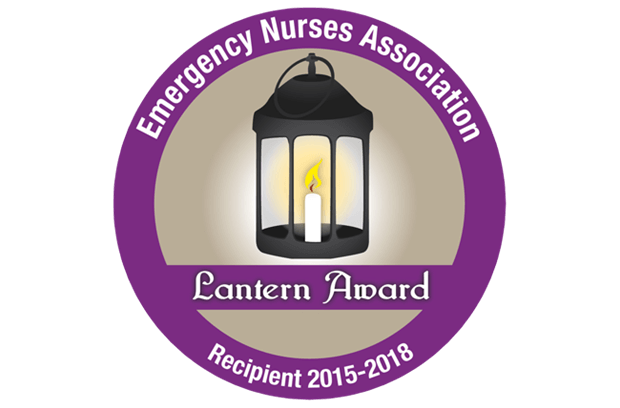 ENA is proud to bestow a variety of prestigious annual awards to emergency nurses and emergency departments. These awards exemplify excellence in emergency nursing practice, local state and chapter operations, and emergency department operations. ENA employees comprise a team driven to achieve excellence through professionalism, empowerment, and balance. Become part of our team and join today. Since 2004, the Academy of Emergency Nursing has honored emergency nurses who have made enduring, substantial contributions to emergency nursing. Academy inductees, known as Fellows, have advanced the profession of emergency nursing, including the healthcare system in which emergency nursing is delivered. This prestigious group provides visionary leadership to ENA and the Academy.